Well, I have definitely grew in the past couple of weeks, and am finding it harder to dress. 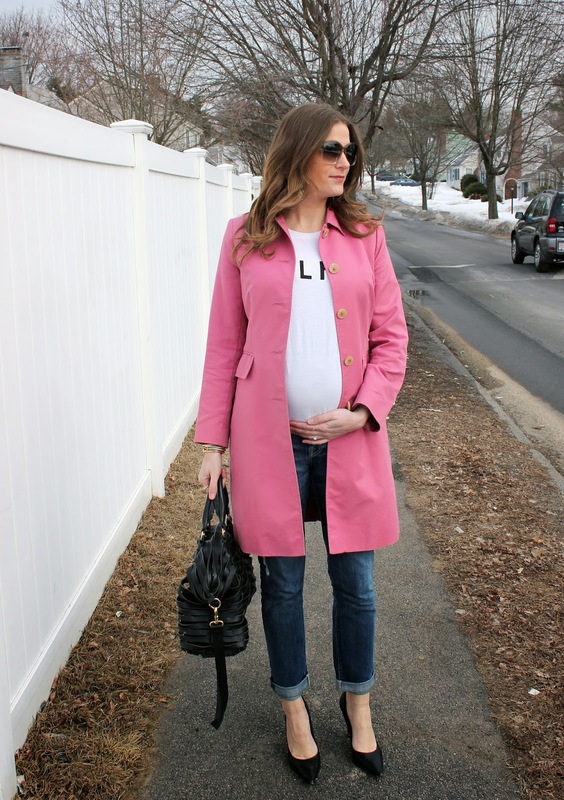 I'll have to start maternity shopping soon, but in the meantime this is the outfit I wore the other day when temperatures were in the 50's. 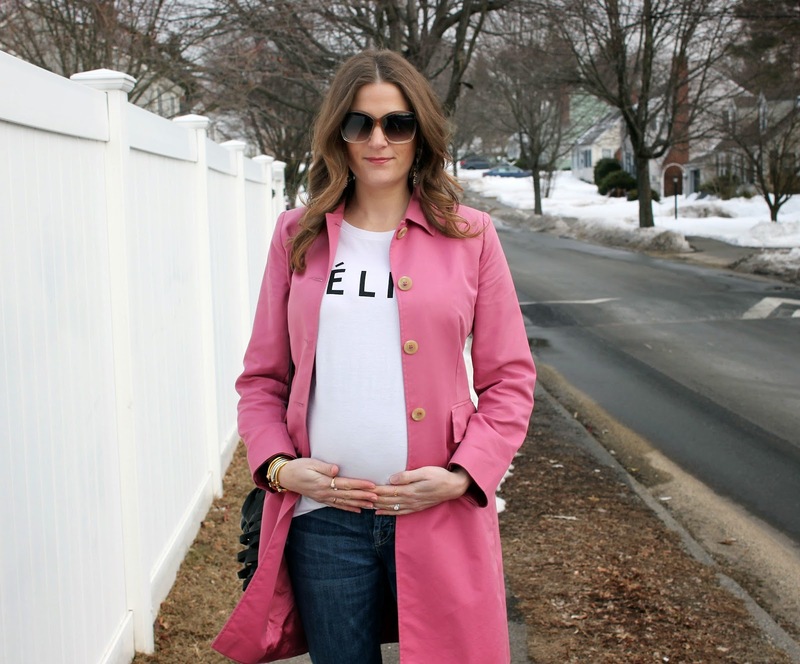 This pink coat is perfect for spring as it brightens up any outfit, and if you don't own a pink coat yet, I highly suggest buying one. 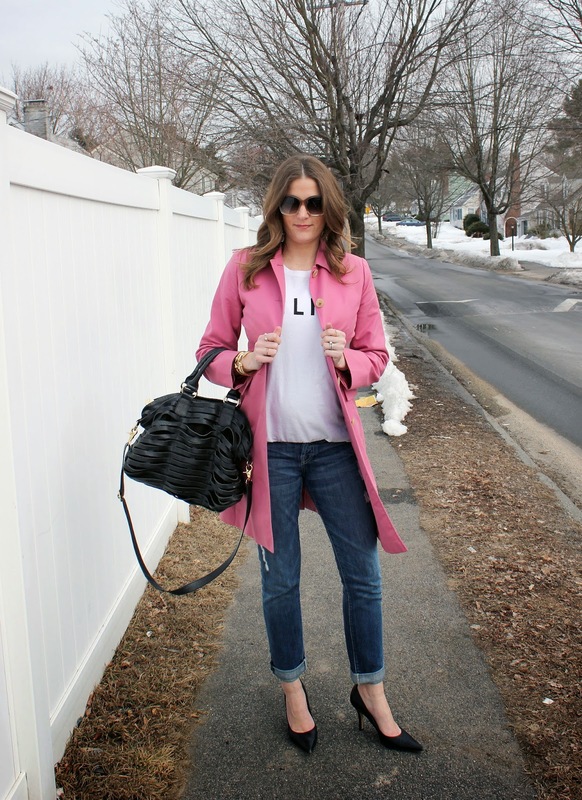 Another item I suggest adding to your wardrobe for the spring is the boyfriend jean. Not only are they super comfortable, but I love their versatility. They have a laid back, casual look with sneakers and a tee, but I also love pairing them with heels and a silk top or a blazer for a dressier, more put together look. 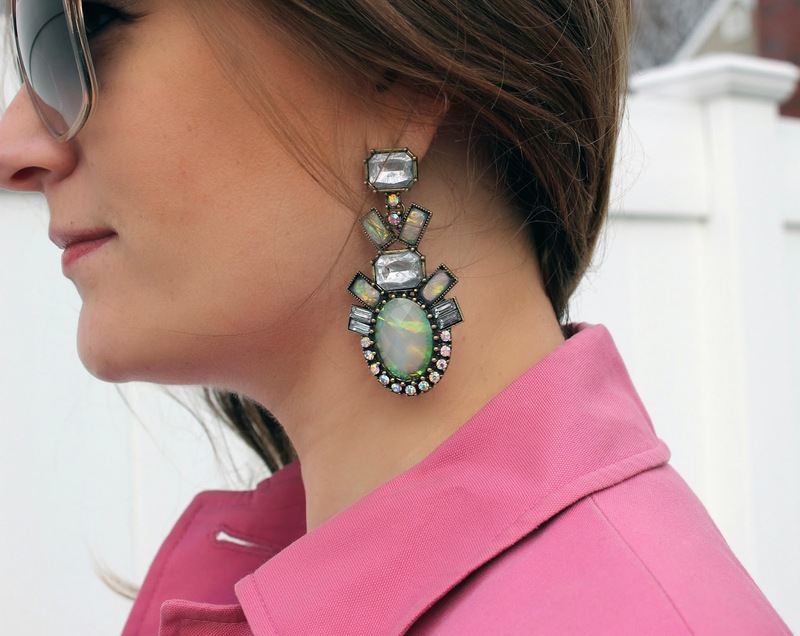 Another way to brighten up a casual outfit is to wear a statement earring. Whenever I wear jeans and a tee shirt I love adding a fun earring like this one from Baublebar. 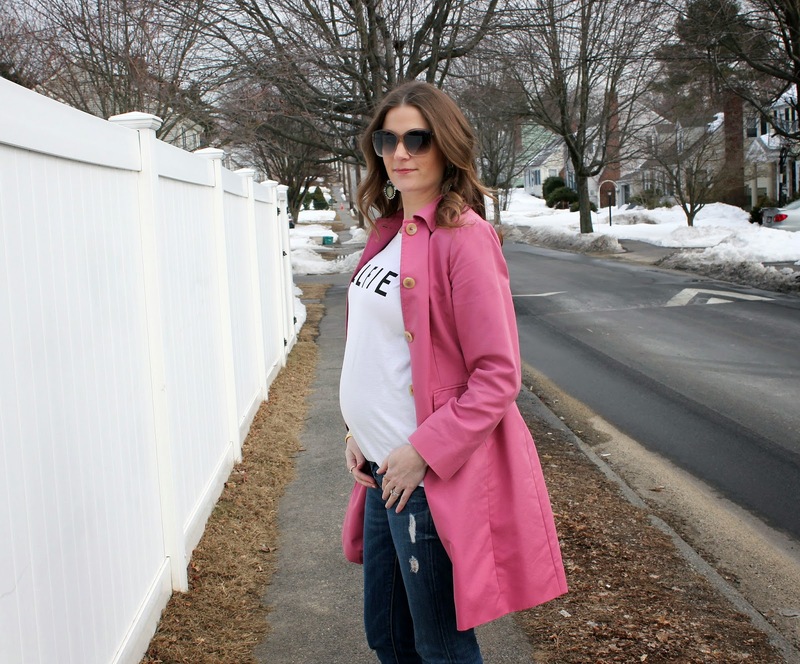 Jeans: 7 For all Mankind Josefina Skinny Boyfriend, T-Shirt: Sincerely Jules, Coat: Banana Republic (old) Similar, Shoes: Nine West, Bag: Romygold, Earrings: Baublebar, Bracelets: Vita Fede, Sunglasses: House of Harlow.